The first official documented proof of my existence that I am permitted to have in my possession is a lie. It is replete with false information concerning my birth, and has remained so for the duration of my thus far 47-year old life. 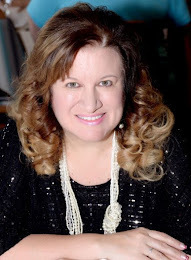 A recent post by Lorraine Dusky at Birth Mother First MotherForum reveals how uninformed most of the population, including many adoptive parents, are about this issue. "So it was with dismay that I learned a few days after that that an adoptive mother of my acquaintance--a bright, appealing woman who is involved in the community--expressed ignorance on the issue of sealed birth certificates. Upon learning that what I was fighting for had something to do with "birth certificates," she remarked to a friend that she didn't understand what the issue was. She said something along the lines of--That's odd--my [adopted] kids [two] have their birth certificates. Both of her two adopted children are in the twenties; both were adopted in New York. The oldest lives in a distant state; the other lives at home. Unless an Act of God intervened in their cases, they do not have their original birth certificates. The adoptive mother's name is on their birth certificates, as well as her (former) husband's, as if they conceived their adopted children and she gave birth to them. How clueless is she? I was alarmed and dismayed. If this intelligent woman doesn't know squat about the reality of this aspect of her now-grown children's lives, no wonder we can't get these laws to fade away faster. If she doesn't know this, what hope is there?" Unfortunately, the beliefs of Lorraine’s acquaintance are not rare. When someone actually cares to discuss this subject with me, I have to go to great lengths to explain that I do have a birth certificate, however the majority of what is on it concerning my birth, is untrue. The information on my certificate has almost nothing to do with my actual BIRTH, but instead reflects my adoption. A birth certificate is just that – a BIRTH certificate. A birth certificate is supposed to document your BIRTH. While I don't dispute the fact that she is a mother to her children, I don't believe having the children's now-amended birth certificates proves anything except for the fact that she possesses a falsified document regarding her children's birth. A birth certificate is not a certificate of one's parentage. It is not a mom certification. Nor does the certificate belong to the parents. A birth certificate belongs to the person whose birth it is intended to record. Unless the adoptive mother carried said children in her own body and delivered them at said hospital, the birth certificates in her possession prove absolutely nothing except the fact that our government recorded information on legal documents that claim one woman delivered children who were actually conceived, carried and delivered by another. How can a Christian believe the changing of a document to reflect false information is morally acceptable even though it is legal? Just because something is legal doesn't make it right. How Much Can Be Changed is Shocking! The only things that may be true on my birth certificate are the date and time of my birth as well as the hospital. I say may be true, because I am not sure, even of those things. Sadly, I recently learned that in some states, the date of birth, city, state and hospital can be altered as well, at the request of the adoptive parents. I have an adoptee friend who just discovered his birthday he has celebrated for over 40 years isn't even his actual birthday. Although this may seem like a small thing to non-adoptees, to him and to many others in the same shoes, it's quite a blow to find out that what you thought was your birthday isn't even your birthday. People have asked me, "Why would an adoptive parent request the date of birth, state or hospital be changed on a birth certificate?" The answer is that if these things are changed on a certificate, a child would not necessarily have to be told they were adopted unless the parent chose to tell them. It also makes it much harder for the adoptee to search when they become adults, because they don't know their correct birth date or location of birth.Without this information the search is much harder. It is any wonder why many adoptees have trouble feeling as though they really “exist” or struggle with trust? When none of the information on the piece of paper the government uses to prove you exist is true, it’s kinda a learning curve, to say the least. I received help navigating the curve, and was able to come to terms with the fact that although almost nothing on my birth certificate is correct, I do indeed exist. Not only do I exist, but I’m amazing. I am living that purpose. And I have learned to trust, despite challenges. Why can’t I have my accurate birth certificate -- the original, that bears the truth of my existence? My original birth certificate is held under seal, at the Virginia Department of Health and Vital Records. You get a medical test and your doctor refuses to tell you the results. You don't need to know, right? Your doctor will take care of everything. Your employer tells you that someone (customer? employee?) filed a complaint against you - but they can't tell you who it was or even what the complaint was about. Just trust them that it will be dealt with accordingly. You've been arrested but are not told the charges. Your lawyer knows and reassures you that "everything will be okay". "Is it such a big deal?" non-adoptees often think or say. That's easy to say about something that doesn't personally affect you. 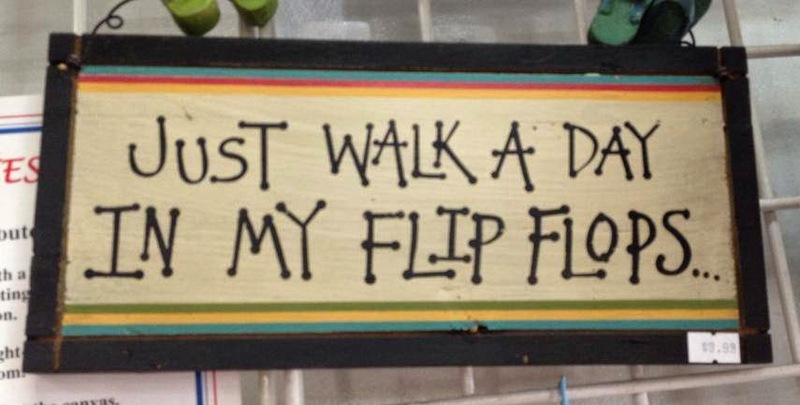 But if you walked a day in our flip flops, you may feel differently. Several people have said to me, "Who cares about a dumb birth certificate? You're alive!" If it's so inconsequential, then what's the problem with having it? The bottom line is -- it's just not right, even if the government says it's legal. Are You Happy You Are Adopted?